So I decided to start this new series where I feature someone who's outfit from the week that just blew me away. I will hopefully be able to do one every Friday. I'll be scouring the internet for my favorite look during the week. Anyone's outfit is up for grabs. They don't have to be a blogger or anything like that. Our first outfit comes from Beauticurve. The reason I love this is because it is so simple, but so chic at the same time. The blouse, skirt, and necklace are just amazing together. This is also a super easy look to recreate and I wouldn't be surprised if these items were already in your closet. 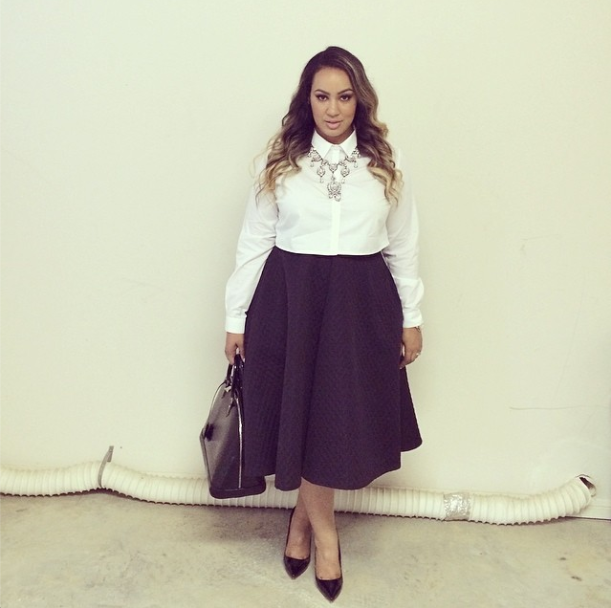 According to @Iambeauticurve's instagram the skirt is from H&M, the top is Asos, and the necklace is J.Crew. I went and found similar items to recreate the look. Want to be featured on fabulous fridays? Unfortunately, I won't be taking any email submissions. There's no official process, but me just being online and seeing what I can see. LOL. Feel free to hashtag #gorgeousIam. I'll using that hashtag to find my next fabulous friday look. All participants will be contacted prior to being featured to gain their permission. this is gorgeous! i love the classic and chic look! Love the simplicity of this look!! 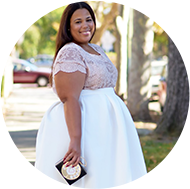 And Beauticurve has become one of my new blogger faves as well as many others!! This is a great feature, pls keep it up! I love your blog..I just started mine and your such an inspiration!! !